What Was The Very First Sports Car? Back in the Early Days of Motoring, people made cars for a few reasons. To get around places, or to win races, or to scare Old People by mowing them all down at 2 miles per hour. But what was the first car ever made for nothing but the enjoyment of driving? It’s sort of hard to define what a “sports car” is, but like the Potter Stewart threshold test, I know it when I see it. It should be built for fun, first and foremost. Does that mean it’s quick? Usually, but it’s not entirely taken so many steroids directly to the eyeballs that it’ll beat anything on track, to the expense of actual delight. Does that mean, then, that it’s not practical? Not usually, but not necessarily, either, as anyone who’s ever seen the Ferrari FF knows. But if we do know it when we see it, then what was the first one? It definitely wasn’t the Benz Patent Motorwagen, generally considered the first car ever. That was mostly in the transport-and-mowing category. 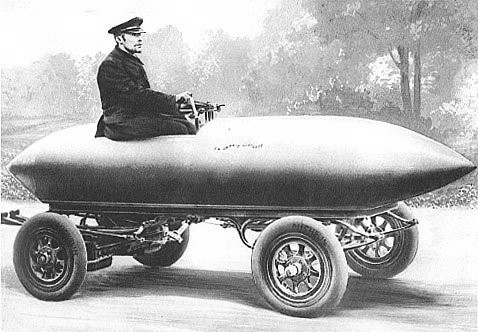 And it wasn’t the Jamais Contente, the first car to break 60 MPH, as that wasn’t really much more than a Radio Flyer wagon with an air-to-air rocket strapped to the top, if either of those things had been invented in 1899, when it was running around. So what do you think is a candidate for the first true sports car? Show us in the comments below!